I am deeply shaken by what I have witnessed since Trump took the oath of office. The dramatic changes enacted by the Trump administration have been swift and calculated. And those changes will be devastating to our natural world. 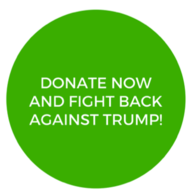 You can help us fight against Trump and what’s to come on his agenda by making a donation to our urgent Spring Campaign. While he is not “our” president, every single action he takes to destroy the natural world will be felt by all of us. His intentions are to use and abuse natural spaces so that friends of dirty industry make a lot of money. So, we need to dig in, hold fast and fight back! The continued efforts to protect and restore the Great Lakes should never be up for grabs by this president. While the funding for the lakes is holding, it's extremely tenuous. We know Trump will make a second attempt to gut Great Lakes funding, which could be implemented as early as October. There are no country borders for the environment. There are no borders for wildlife, clean air, or for the water that flows in our shared oceans, lakes and rivers. Wildlife who rely on both Canadian and American terrain migrate across vast expanses of land and water to find food, to mate, to birth and raise their young ones. In Trump’s hands, all of these will be impacted. We've already seen Canada stall its methane emissions regulations by three years in response to Trump's attempts to erase climate commitments made by Obama. It feels unimaginable that this is where we are. I’m sure you must feel that way, too. But it’s what we are dealing with - right now. I also know we are in this together. Mr. Trump may have met a few Canadians in his time. But he hasn’t met the rest of us! That's why we need your support today. Please make a gift to our urgent Spring Campaign! Let’s show him what it looks like when a group of fiercely polite Canadians stand up to protect their most treasured natural spaces. Let’s show him that coal is choking it’s last breath and we’ll fight back to ensure we have clean air. Let’s show him how people work together to help save endangered whales and their young calves who are the precious link to saving their own species. Thank you for your donations of support. Thank you for your deeply appreciated words of encouragement at a time when they are most needed. Thank you for everything you do. Together, we are fighting back! P.S. : Your donation in support of our Spring Campaign will make all the difference. We really do count on you. Please accept our heartfelt thanks for helping us continue our important work - now more than ever before.